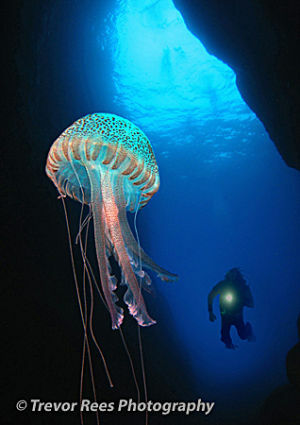 A diver spots a jellyfish at the entrance to a cave on the north coast of Menorca. Voted 'runner up' in two UK print competions. Diver and model is Jim Beech.